As hunters, we often look to conservation organizations to protect and enhance hunting opportunities or address the critical habitat issues facing upland birds. Yet, many of us are not even members of the organizations we look to for support. 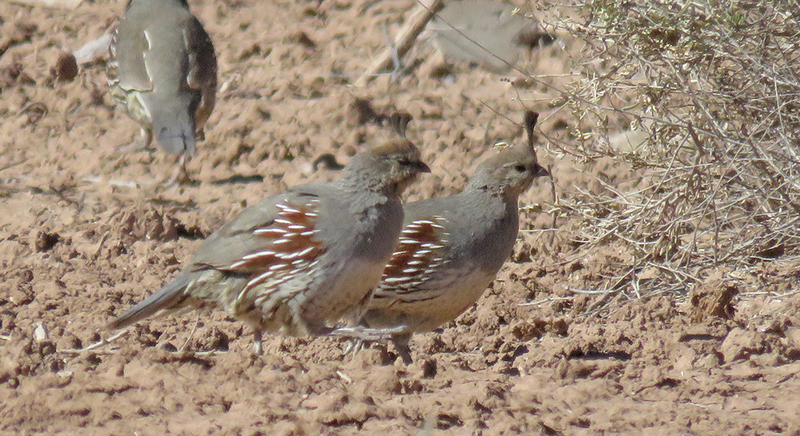 For example, the nation’s largest quail organization recently announced its membership topped 15,000. This represents 1.8% of the country’s 841,000 quail hunters. According to the 2011 National Survey of Fishing, Hunting, and Wildlife-Associated Recreation, there are 1.5 million pheasant hunters and 844,000 grouse and prairie chicken hunters. Only 8% of pheasant hunters are members of Pheasants Forever, and just 1% of grouse hunters are members of the leading conservation organizations focused on the species they hunt. In contrast, an estimated 47% of the nation’s 1.4 million duck hunters are members of Ducks Unlimited or Delta Waterfowl. In addition to membership in conservation organizations, duck hunters consider it a normal cost of doing business to purchase both a federal and state duck stamp. Since its inception in 1934, the Federal Waterfowl Stamp has raised over $800 million for conservation. 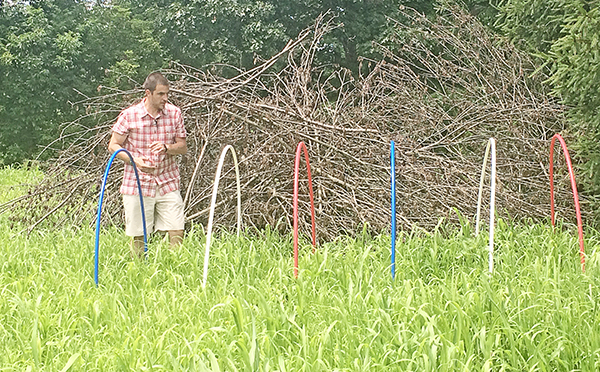 Restoring wetlands and waterfowl was the single mission of a small group of sportsmen. Despite the daunting biological, political, industrial and sociocultural environments of conservation today, do upland bird hunters represent a small group of thoughtful individuals capable of reversing unprecedented decline with a singular focus on uplands and upland game? Based on the responses to Ultimate Upland’s article It’s Time for a Federal Upland Stamp, we learned that many hunters would like to see conservation organizations receive additional funds and lead the effort to reverse declining upland game populations. We followed up by asking the various organizations involved about their programs, accomplishments, goals and challenges to provide a side by side comparison. Their complete responses are available by clicking logos below. Most of the organizations we spoke with agreed the biggest issue facing upland species today was loss of habitat. According to Pete Muller, Public Relations Specialist for the National Wild Turkey Federation (NWTF), “We lose 6,000 acres a day, with a total of the size of Yellowstone National Park each year.” The NWTF Save the Habitat. Save the Hunt. is a 10-year initiative with a commitment to conserving or enhancing 4 million acres of habitat, creating 1.5 million hunters and opening access to 500,000 acres. To understand the magnitude of the losses we face, if we continue to lose habitat at the 6,000-acres-a-day rate, even if NWTF conserves 4 million of those acres, we suffer a net loss of 18 million acres of habitat over the 10-year period. Although the Conservation Reserve Program (CRP) embedded in the Farm Bill provides large scale, direct and measurable benefits to wildlife and habitat, the Farm Bill is a politically-charged piece of legislation addressing food, farms and jobs and is tied to agricultural interests and commodity demands. Funds allocated for conservation in the latest Farm Bill have decreased by $4 billion over a 5-year span. If we do not fund habitat recovery with sportsmen’s dollars, are we willing to become political activists and rely on an indirect source of government funding for upland game? Don McKenzie, Director of the National Bobwhite Conservation Initiative (NBCI) acknowledges that, “Neither the NBCI nor any other game bird organization, initiative, institute or association has taken serious steps to address the bigger, broader need for new, larger, stable funding for upland game bird conservation at the national level.” While species-specific initiatives, such as the NBCI, Sage Grouse Initiative, and the Lesser Prairie Chicken Initiative demonstrate new paradigms in wildlife management that epitomize the value of partnerships, if we want to see meaningful conservation outcomes for upland game, we must come together as a community and support proactive partnership over larger landscapes. Fundraising through the banquet model is an important source of unrestricted revenue for most conservation organizations. Woodcock Limited told us, “Direct habitat work is our biggest initiative, and that comes from increasing chapters/members.” Jay Stine, Executive Director of the Quail Coalition, points to their unique model that maximizes the use of private dollars, “We minimize organizational overhead with no headquarters building, no offices, and only one contract employee.” Upland hunters are often a fractious group who focus on the differences between dogs, guns, game and methods. We come together in support of conservation for the particular species we hunt. But, how do we overcome the distinctions between the various organizations and build trust amongst ourselves as a broader community to tackle habitat loss as a single initiative? In order to create greater participation in the issues, we have to recognize that hunting as we know it is a fragile proposition. 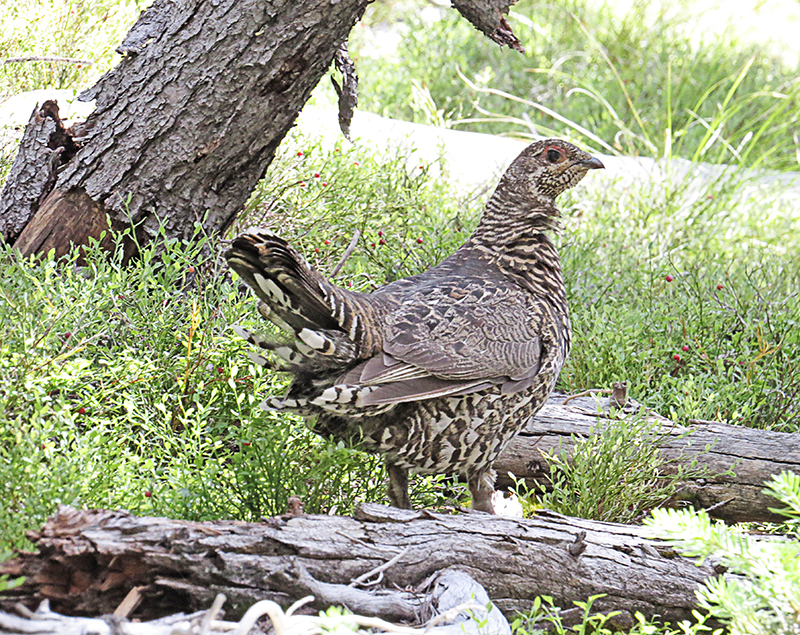 Upland birds are often nesting in our neighboring woods and fields. They are elusive and camouflaged to their varied environments. While we may be secure in our own access to hunting grounds, there is a national crisis involving the loss of our nation’s vast grasslands, early-successional habitats and forests along with the wild birds that rely on them that we seem content to ignore. The accomplishments and goals of conservation organizations must be understood in the broader context of long-term population declines and a trend toward future habitat loss and degradation. 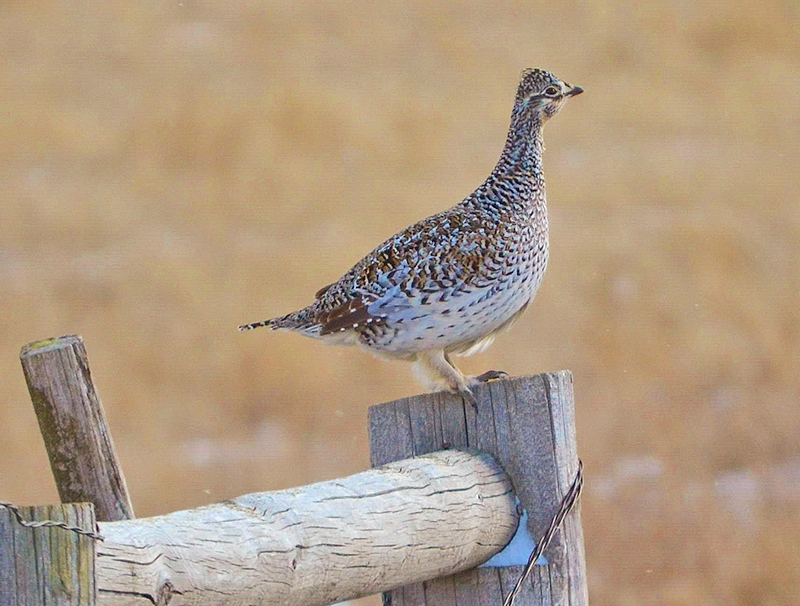 If we accept the status quo we are not going to change the trajectory for upland birds. The future of the game birds we hunt and the wild places they require to survive depend on overcoming our distinctions to join a collaborative conservation partnership that crosses the sometimes controversial boundaries between states, species, organizations, and agencies. We may believe that it happened all of a sudden when we find ourselves in fields without pheasants and mornings without the sound of bobwhite. If we see the problem clearly, we can begin to move towards changing it through our passion, commitment, and singular focus. The time is now. Where would we be today if we had taken steps toward a dedicated funding source for upland birds 20 years ago? I wholeheartedly agree that measures need to be taken to manage, restore and save the upland game birds habitat. The wetland preservation by the annual purchase of a stamp is an excellent example of how many hands make light work. It is being funded by individuals that actually use the land. I would like permission to post this on my website http://www.fourcurlnation.com. Please let me know if I can. 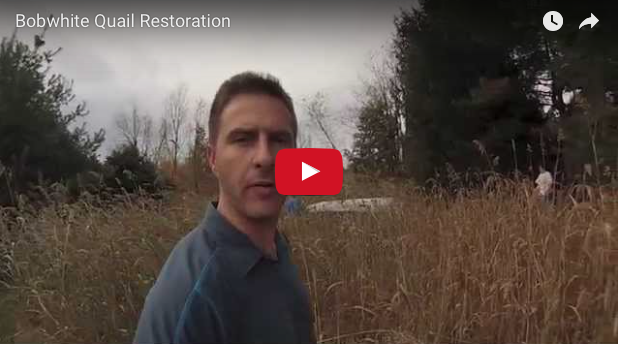 Thanks Dan, please share on your site and let your audience know that UU is taking a hard look at conservation. While I agree in supporting clubs that defend our rights to hunt, I think it’s important to understand that hunter as a whole hunt multiple species like Ducks , and Deer, and Elk, dog guys also belong to other dog related clubs. While 8 feel it’s important to participate in defense of our rights as gun owners and hunters all the clubs and organizations create small individual mindedness instead of unity. Organizations don’t support effort to defend other hunters rights in their desired form of hunting. Duck hunters are out for Duck hunting, Elk hunters are out for Elk hunting, Deer hunters are out for deer hunting archery guys are out for themselves and the NBA is out for gun rights. It takes huge efforts to get cross over help and support for the entire hunting family to defend ourselves as a whole, which I find sad. In Kalifornia we lost a battle of bear and bobcat hunting with hounds, some towards the end of the fight threw their support verbally into the fight but not enough to really help. The problem with hunters is if we don’t hunt a certain way arent willing to support that effort to save another persons lifestyle. Gun owners, and all hunters need to join together under one flag. Battling in small groups or as lone wolf’s does nothing to help hunting or gun ownership. But instead we are all self centered and 9 not worry about ourselves as the anti chip away the block of ice one hit at a time. First of all I only hunt 2 of these “groups” of birds. Ruffed Grouse and waterfowl. I’m a member of DU & WWA(Wisconsin waterfowl Association). These numbers are not accurate. 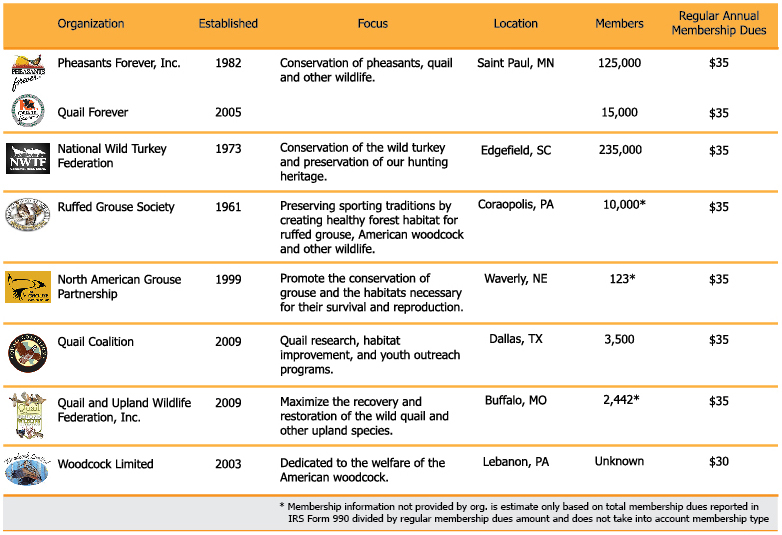 Most people don’t believe that being a member of these large organizations are benefiting them where they hunt. I know far more people who are in WWA then DU because I find it hard to rationalize sending money to be used in California…but I do see the bigger picture that DU has, hence both memberships. For the rest of these results especially pheasants, most pheasant hunters don’t do it in the wild…they shoot them on a farm…even if the farm is just doing really good land management. Don’t believe all the statistics you see…most are done and skewed to get a reaction out of people. As for the rest of the birds Quail, Turkey, etc. I feel bad for you…get different hunters I guess. Also its hard to get people to donate money for a bird like Turkey when they are over running a state…(Wisconsin). You must do a state by state breakdown and know the circumstances to accurately portray what’s really going on here. Tyler- State assessments and surveys are going on right now. We hope to have the data soon. But I assure you these numbers are accurate; these aren’t statistics that we are seeing, it is data we collect and distill ourselves in order to inform bird hunters. I disagree with you. Most pheasant hunters do not go to a farm. People who don want go out in the wild a spend days hunting go to a easy 2 hour kill any bird that moves farm. I’m a member of all these clubs mentioned in this story. For starters I would like to see where all the money goes from each club. DU has some pretty high salaries I’m sure. Turkey club spends money on a state level pretty nicely. The pheasant and quail forever chapters keep their money local except for memberships. Farming and ranching has changed a lot in the last 20 years. Most of the improvement has been putting non- native grasses in to be able to run more cattle on less ground because of cities growing and taking away land that use to be used for farming and cattle. Government programs like the bio fuel had people plowing up every inch of ground they could to grow corn. Now look at it. Hopefully the crp acres gets increased to help. I think if hunters will just educate everyone about habitat in one way or another that would go a long way. While the article makes some very valid points concerning membership in advocate organizations it is a bit light on what I see as the most critical issue facing hunting in general and upland bird hunting in particular. Belonging to an organization is a start. We used to teach the concept of hunter/conservationist in hunter education. I do here in California but I think the message is falling on deaf ears. Too many think it is the job of the organization or “the other guy” to get that guzzler rebuilt. I have some late breaking news for you: if you are waiting for state and federal agencies to do the physical work of wildlife habitat mitigation you had better bring a sleeping bag. Here are some questions for the conservation groups. How many upland bird stamps or duck stamps are sold in your area. Then ask how many folks show up, work clothes on and ready to do manual labor on a mitigation project. That is where the rubber meets the road. This work will not get done unless WE, The HUNTERS do it. 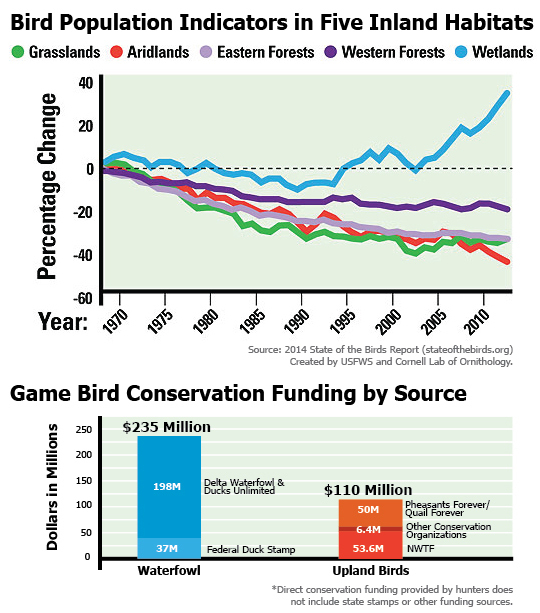 I hear all the talk about us funding conservation but the crux of the problem is not too many folks, organizations and certainly government agencies are actually doing any work. In my previous life as a Marine we had a saying: when the going gets tough the tough get going. The going is tough. We have an adverse regulatory and land management environment combined with fish and game agencies who feed on our tag, stamp and excise tax money in order to perpetuate themselves instead of perpetuating wildlife habitat. Political involvement helps, lobbying helps, sometimes a lawsuit helps but what really helps is the public seeing sports men and women, and loads of kids, in the field doing the heavy lifting of habitat mitigation. We are losing battles here in California, the place I consider to be the forward edge of the battle area against the shooting sports because we tend to leave it to the other guy or gal. We need to walk the walk. We need to do the work. We need to show our strength in numbers. Semper Fi from Chuckar country. High Desert Quail Forever Chapter 3138. Thanks for the comment QF3138! Agree that boots are as important as funding and we certainly see there is a need for both. Currently doing state surveys in order to better answer some of the questions you pose. I would be in support of a Federal Upland Bird stamp. I believe what is good for the bird is good for all game, thus beneficial for all sportsmen and outdoor enthusiasts. Maybe I will never hunt woodcock, but I would pay the price to protect my ability to do so should I choose. Just my two cents. Someday my son or grandson may want to see the sage grouse in his native range, and I hope he can. Thank for the information, it’s good to know that there is an organization which consider the matter of this.